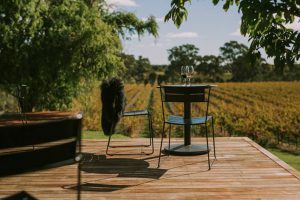 The famed western side of the Barossa Valley is alight with eagerness, creativity and vigour. 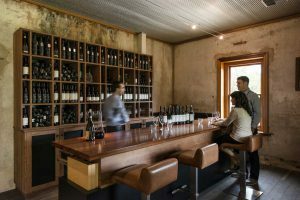 It is the place to be in the Valley at the moment, and there is a sense of momentum and enthusiasm as existing wine brands reinvent themselves, or as new opportunities are seen and experiences created. All have one thing in common – all are truthfully epitomising the traits of the Barossa – encapsulating its uniqueness and beauty, either in bottle, on plate, or within accommodation. And all are doing so with style and class. The palm lined road of Seppeltsfield Road not only offers a scenic drive, but has rapidly grown to be a sought after destination. Its opportunities are plentiful and for those wanting to explore the area will require at least 2 days to thoroughly explore this stretch. 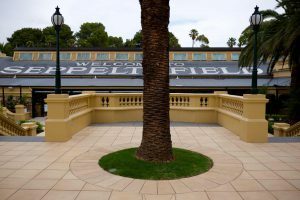 We begin our exploration on day one at the start of Seppeltsfield Road with Hewitson – a wine label that was established in 1998 but has just opened its cellar door. Its contemporary space mixes historic charm and modern decor with ease. Think concrete floors, wooden cladding, decking and views! The cellar door is positioned on the edge of their vineyard, which leads down to the Para River. A perfect spot to try their wines, and/or enjoy a glass! Travelling west, through the new round-about at Stelzer Road, is Tscharke wines. An old Barossan family with rich ties to the township of Marananga. A German style timber building welcomes you as their cellar door and pottery Gallery. Alternative varieties with sustainable approach to viticultural practices is the key focus to Tscharke’s Wines. 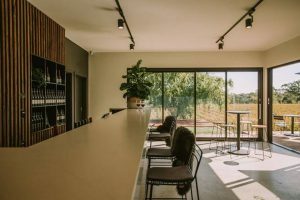 Greenock Creek Wines opened their new cellar door in April 2016, in the township of Marananga. This development has provided guests with more spacious tasting areas and lovely landscaped gardens. A genuine estate winery, their production alters year to year according to the weather and resulting grape yields. Seppeltsfield is the next stop on today’s tour, starting with lunch at Fino, interrupted by a tour of artisan craft hub Jam Factory , finished with a sip of your birth year port. Its grounds are extensive and waiting to be explored. Hentley Farm is the final destination for today. 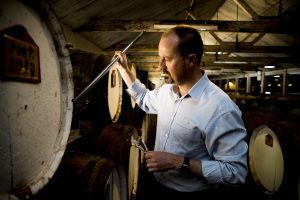 Awarded the 2015 James Halliday Winery of the Year, and recently named 2017 Barons of the Barossa Winemaker of the Year, Andrew Quin (and his winemaking team) are at the forefront of driving diversity in Barossan winemaking. 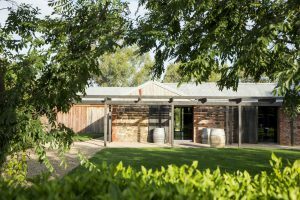 Their cellar door is an experience within itself and is complimented with The Hentley Farm Restaurant – located within the properties original stables, the building has been meticulously restored and converted into a unique dining space. The food philosophy has a strong emphasis on harvesting produce from the farms 150acres and the chefs are often seen foraging for goods! It is the ideal stop for dinner and spoil yourselves with a degustation experience. Of course, Cambourne is located next door to Hentley Farm and a mere stroll through vineyards and via the friendly alpacas will lead you to a haven of relaxation and opulence. The perfect location to wind down, rest-up and prepare to do it all again tomorrow! If you would like to stay at Cambourne while you explore Seppeltsfield Road then click here.